Hairballs develop as a result of a cat’s healthy and fastidious grooming routine. When a cat grooms itself any loose and dead hairs are swallowed. The majority of this hair passes all the way through the digestive tract with no problems. If occasionally some hair stays in the stomach, it can form a hairball, which may be distressing for your cat. 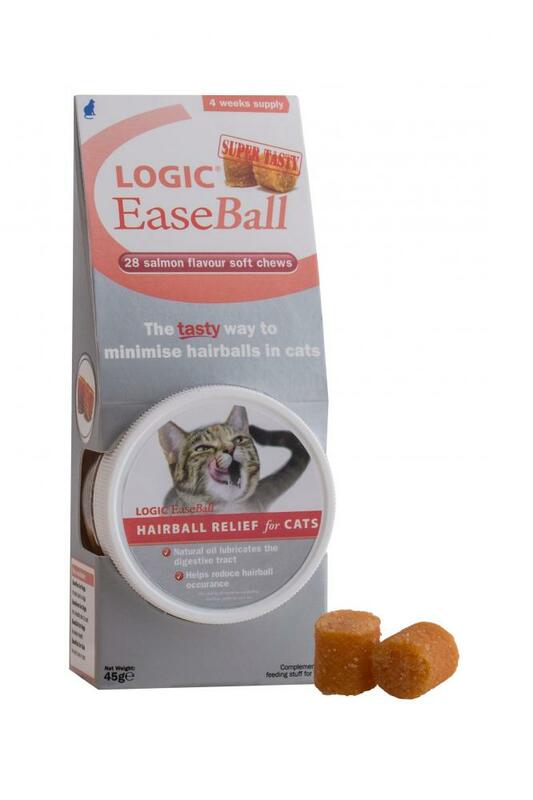 EaseBall is a tasty salmon flavoured soft chew to help minimise hairballs and their symptoms. 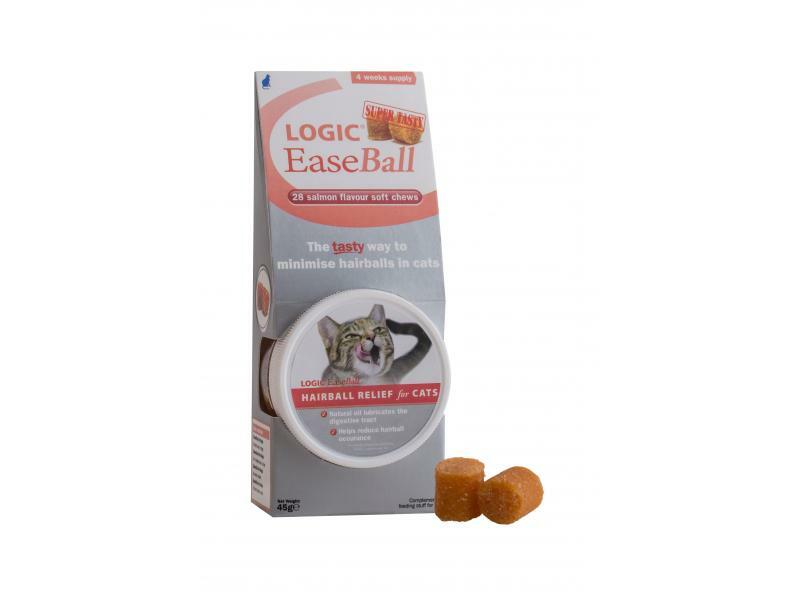 There are currently no questions for Logic EaseBall - be the first to ask one!